During his time as a police officer Ernest Dalton had spent seven years as a Court Officer, having previously served in the Chief Clerk’s Office and on street duty. He was promoted to Detective Sergeant in 1907.2 He had stood for the prospective parliamentary candidate for the Park Division of Sheffield after his retirement, and had unsuccessfully contested the seat at Hull South-West as a Liberal candidate in the 1945-46 elections.3 Dalton had been also active as a business manager of the Leeds Art Theatre in the late 1920s. 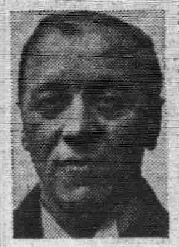 Yorkshire Post, 25 June 1927, p. 15. Ibid; Yorkshire Evening Post, 16 August 1907, p. 6. Yorkshire Evening Post, 3 November 1947, p. 5.